This week I'll be updating it to show BfA stats. Site will be ready for the Mythic+ release for sure. Sweet, thanks man. It would be helpful when you get the overview on the website for example, where it says the legendaries right now, to show an icon of each Dungeon and a number in the center which is what the highest run of that person has been. That way I can see for example if I want to invite someone who's got a +10 completed in say Freehold, but overall has only +1. 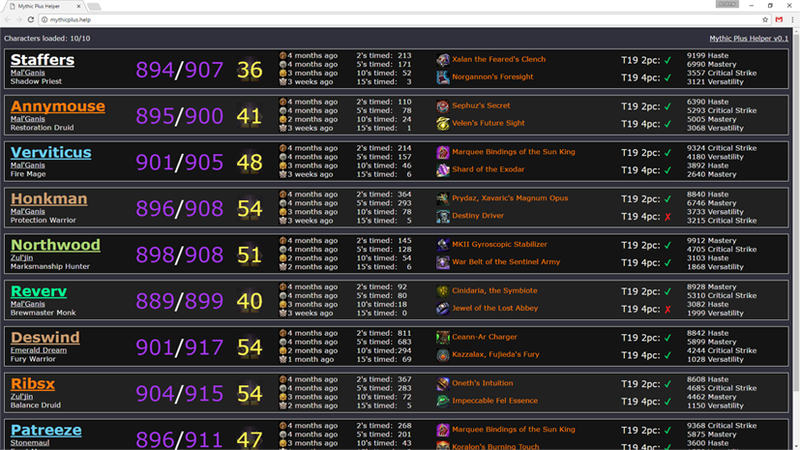 Might be useful for parsing through people when you can see what their best run has been across all dungeons.